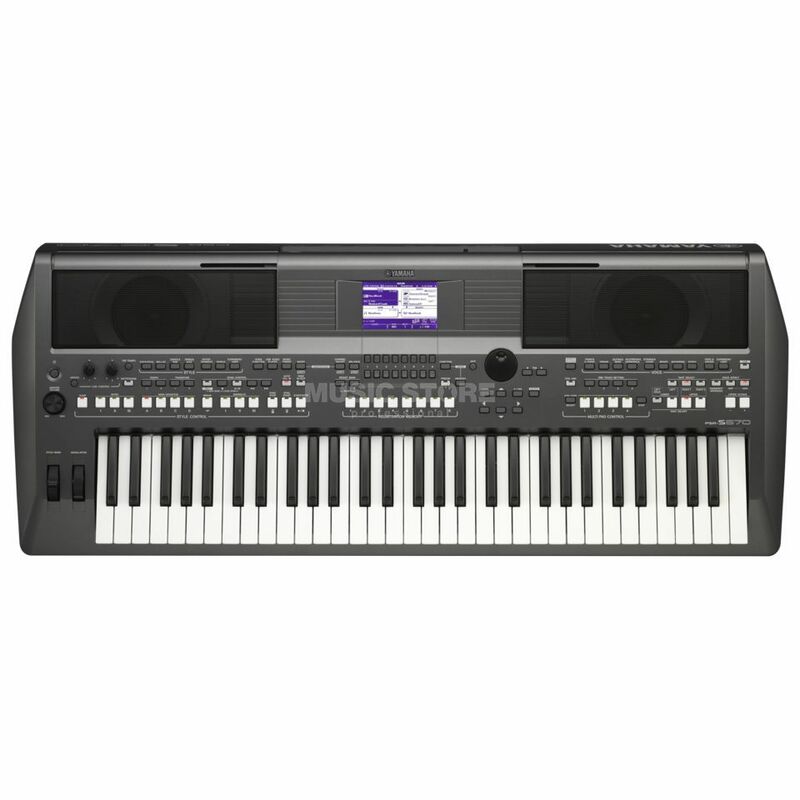 The Yamaha PSR-S670 Arranger Workstation Keyboard is a 61 note keyboard that comes with 416 Voices (including MegaVoices), 34 Drum/SFX kits and 480 XG Voices for a vast array of sonic possibilities. It features two assignable live controllers, a modulation wheel and two assignable footswitch inputs, ensuring that you have total control over voices, styles, effects and other functions during live performance. Optional Voice & Style Expansion Packs enable you to customize the PSR-S670 with a wide range of additional content from all over the world. When loaded into the keyboard, you can instantly access authentic new sounds, rhythms, and backing in the musical style of your choice. For even more versatility, use Yamaha Expansion Manager version 2.3 (or later) to link the PSR-S670 to your computer. * Yamaha Expansion Manager allows you to create individual expansion data sets containing content from various packs. You can even create voices based on your own samples. Finally, the PSR-S670 is also complimented by the ‘chord tracker app’. The Yamaha Chord Tracker app for iPhone and iPad helps practicing and performance by extracting the chord sequence of an audio song stored on your device.